Adobe is now the third largest spy agency on Earth. Two weeks ago, it was disclosed that private data pertaining to 50 million Facebook users was harvested by the data analytics firm Cambridge Analytica and misused in an effort to influence the results of the 2016 elections in the United States. The finding sparked investigations on both sides of the Atlantic, with the European Parliament going after both Facebook and Cambridge Analytica for possible misdeeds and the U.S. Federal Trade Commission (FTC) launching a probe on whether Facebook violated a 2011 consent decree it reached with the regulator pertaining the privacy of consumers. The backlash against Facebook also involved Mozilla's announcement of a new Firefox add-on, called Facebook Container, that isolates Facebook's sessions in the browser to decrease the amount of data collected by the social media giant. But unfortunately, online tracking also reached another level this week, with Adobe's announcement of its new Marketing Cloud Device Co-op initiative. The announcement of the new solution for tracking customers across devices was made at the Adobe Summit this week in Las Vegas to a digital marketing conference. 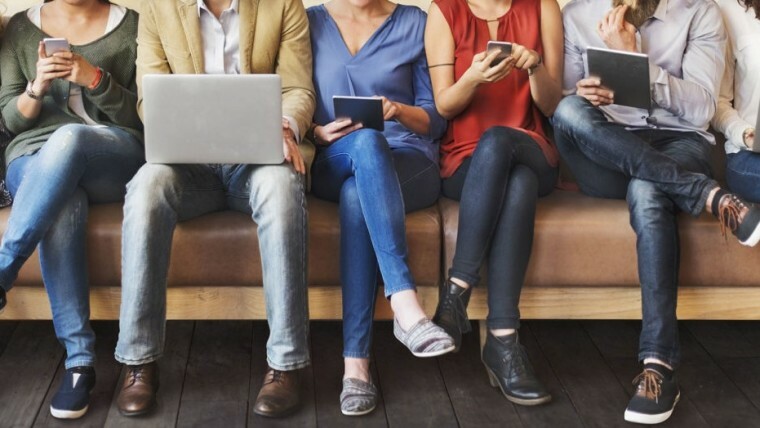 According to an Adobe blog post released earlier this month citing Forrester, consumers are increasingly accessing multiple devices before making a purchase decision - an average of 5.5 connected devices per person. This behavior creates a challenge for retailers, who cannot easily target people in their marketing campaigns, ultimately depending on Facebook or Google to track people instead of devices. Both Facebook and Google are able to do this job because of the massive amount of users logged into their ecosystems regularly, so most retailers have been opting to use those platforms as a way to reach potential customers. But Adobe's approach is to provide a platform agnostic solution acting as a glue between the world’s biggest brands' own data management platforms. In order for Device Co-op to work, each company that has joined the initiative will provide Adobe with "cryptographically hashed login IDs" and HTTP header data, which Adobe claims will completely hide the customer's identity. This data will be used to create groups of devices used by the same person or household, which will then be made available to all the members of the initiative so they can target people on different devices, instead of creating one customer profile per device, as can be seen from the example given in the image above. Until now, some 60 companies have joined the Adobe initiative, including brands such as Subway, Sprint, NFL, Lenovo, Intel, Barnes & Noble, and Subaru. 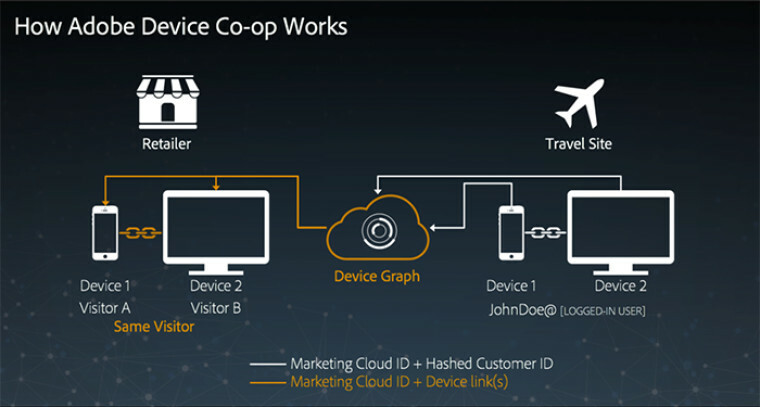 Also, preliminary measurements made by Adobe indicate that Device Co-op could link up to 1.2 billion devices worldwide, based on the amount of accesses seen by current members. But it is important to note that the initiative is currently collecting data of U.S. and Canada users only. Adobe claims the Device Co-op initiative will not disclose the user's identity to its members, including any personal data, tackling today's biggest concerns regarding user's privacy. Also, the company claims users can completely opt out all of their devices from the service here, which will apply to all participating companies at once. We are still to see if the Adobe Device Co-op initiative will in fact mean less exposure of user's personal data. After all, it is again another service based on tracking people's every online move.